Since 1982, the law firm of Smith, Hawkins, Hollingsworth & Reeves, LLP in Macon has served the needs of businesses and individuals throughout Georgia. The firm's attorneys have a unique depth and breadth of knowledge in their practice areas. This is bolstered by the fact that the members of the firm are particularly well versed in the areas of taxation and many possess advanced degrees in tax law. The attorneys at Smith, Hawkins, Hollingsworth & Reeves, LLP are committed to providing the highest level of service to every client. The firm prides itself on offering personal attention and effective, economical solutions, and providing clients a senior-level attorney or an experienced associate available at all times. The firm also focuses on efficiency. By identifying and implementing strategic solutions in a timely manner, Smith, Hawkins, Hollingsworth & Reeves, LLP attorneys attempt to prevent many complications all while tenaciously protecting your best interests. Smith, Hawkins, Hollingsworth & Reeves, LLP handles all commercial real estate matters, including: Borrowers Counselor, Bond Transaction, Tax Credit Financing, Real estate purchase agreements, Real estate sales agreements, Commercial lease agreements, Leasebacks, Real estate finance, Tax-deferred exchanges or swaps, Construction contracts, Real estate tax matters, Easements, Quiet title actions, Commercial real estate development projects, Loan workouts, Planning and zone applications. The members of the firm are especially well prepared to advise clients on loan workouts, including workout agreements, interest deferments and payments and loan restructuring. Past clients include various health care businesses, shopping centers, outdoor advertisers, hotels, gas and convenience store businesses. Smith, Hawkins, Hollingsworth & Reeves, LLP also handles residential real estate transactions for clients.For more than 40 years, John D. Reeves has advised individual and business clients on a wide variety of legal matters, including mergers and acquisitions, entity formation, qualified retirement plans, general corporate matters and taxation issues. He is past President of the Macon Estate Planning Council and serves on the estate planning committees of several local charitable organizations. Mr. Reeves has formed and obtained IRS determinations of exempt status for numerous local and regional organizations, which have had a significant impact on the lives of citizens of Middle Georgia. Mr. Reeves has held leadership positions with several local charitable organizations, including Vice-President of the Central Georgia Council of Boy Scouts of America, Girl Scouts of Middle Georgia, Medcen Foundation and Vineville United Methodist Church. Mr. Reeves also devotes a portion of his professional time to pro bono legal services with the Georgia Legal Services Program. Commercial real estate is very complex. The longer it takes to close a deal or resolve an issue, the more you risk losing. The skilled Georgia real estate attorneys at Smith, Hawkins, Hollingsworth & Reeves, LLP in Macon provide comprehensive legal counsel designed to protect your best interests. Several of the firm's partners have advanced tax degrees, which they use to their clients' benefit. Smith, Hawkins, Hollingsworth & Reeves, LLP handles all commercial real estate matters, including: Borrowers Counselor, Bond Transaction, Tax Credit Financing, Real estate purchase agreements, Real estate sales agreements, Commercial lease agreements, Leasebacks, Real estate finance, Tax-deferred exchanges or swaps, Construction contracts, Real estate tax matters, Easements, Quiet title actions, Commercial real estate development projects, Loan workouts, Planning and zone applications. The members of the firm are especially well prepared to advise clients on loan workouts, including workout agreements, interest deferments and payments and loan restructuring. Past clients include various health care businesses, shopping centers, outdoor advertisers, hotels, gas and convenience store businesses. Smith, Hawkins, Hollingsworth & Reeves, LLP also handles residential real estate transactions for clients. For more than 40 years, John D. Reeves has advised individual and business clients on a wide variety of legal matters, including mergers and acquisitions, entity formation, qualified retirement plans, general corporate matters and taxation issues. 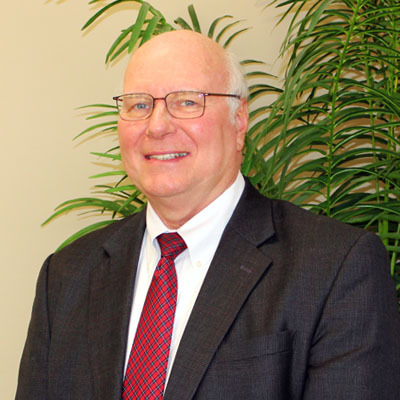 He is past President of the Macon Estate Planning Council and serves on the estate planning committees of several local charitable organizations. Mr. Reeves has formed and obtained IRS determinations of exempt status for numerous local and regional organizations, which have had a significant impact on the lives of citizens of Middle Georgia. Mr. Reeves has held leadership positions with several local charitable organizations, including Vice-President of the Central Georgia Council of Boy Scouts of America, Girl Scouts of Middle Georgia, Medcen Foundation and Vineville United Methodist Church. Mr. Reeves also devotes a portion of his professional time to pro bono legal services with the Georgia Legal Services Program.